Justrite Hydrocarbon Detection Strips for oil testing and detection can quickly and accurately determine the presence of hydrocarbons in water. 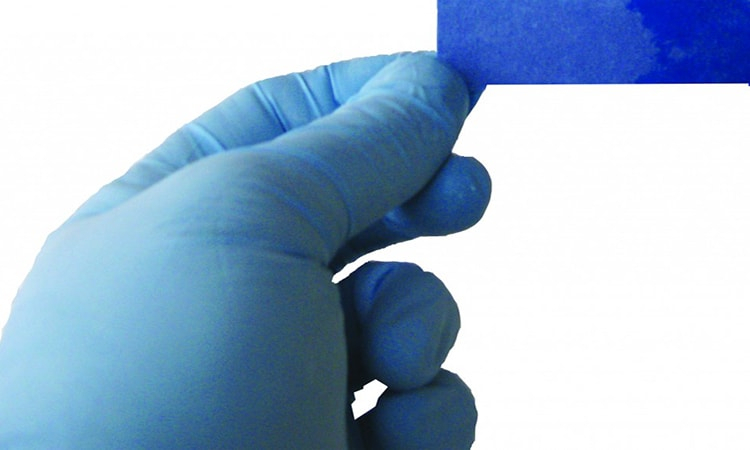 When the Hydrocarbon Detection Strip is introduced into a potential hydrocarbon situation, the light blue strip will turn a darker blue if it detects the presence of oil contaminants. The color intensity and size of the darker blue areas indicate how much oil is present in the sample. If the sample doesn’t contain hydrocarbons, the strip will not moisten or change colors. 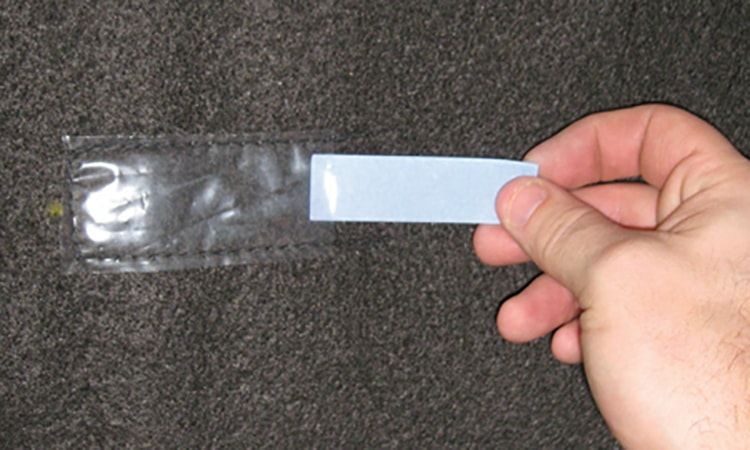 Hydrocarbon Detection Strips can be used in any situation where there is a need to detect oil contamination in water, including in elevator shafts, underground utility vaults and manholes, retention and secondary containment vessels, and out-fall on oil-water separators prior to pumping out water. Hydrocarbon Detection Strips serve as a vital component of the EVAC Filtration System, as they notify when the filter is nearing its maximum oil retention level. When testing volatile substances, evaluate the color reaction immediately due to rapid fading. Hydrocarbon Detection Strips measure 2.75” x .75” and come 100 to a container.